The First Meeting of the Management of SMIIC Accreditation Council (AC) was held in ?stanbul, Republic of Turkey on 26-27 February 2018 and hosted by SMIIC General Secretariat. H.E. Mr. Fatih MET?N, Deputy Minister of Economy of Republic of Turkey attended the opening session of the meeting as the guest of honor and delivered a keynote speech and shared his valuable remarks on the future activities of SMIIC Accreditation Council. 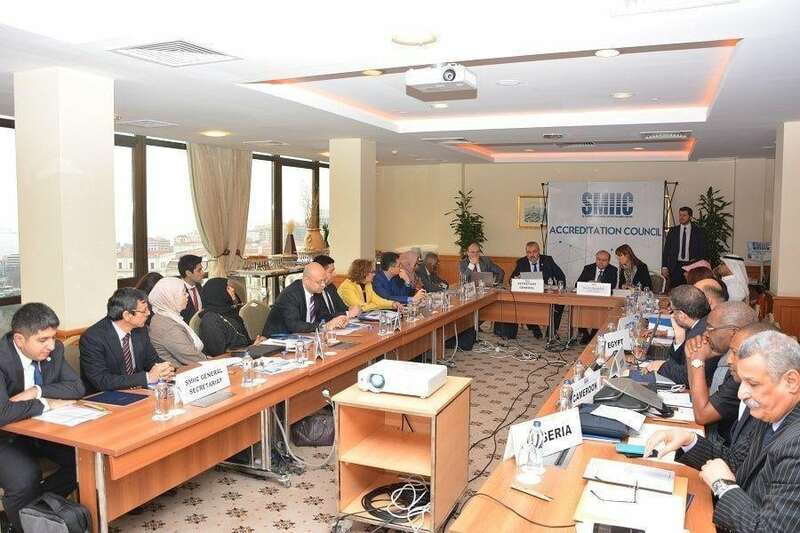 The meeting was chaired by Mr. ?hsan ÖVÜT, SMIIC Secretary General with the decision of the members of the Management of SMIIC AC. The Management of SMIIC Accreditation Council decided to establish a Task Force Group (TFG) for studying of draft Terms of Reference of SMIIC Accreditation Council (AC). The resolutions of the meeting were approved unanimously and the meeting was concluded with a vote of thanks to the SMIIC General Secretariat for hosting and successful organization.